'Oh, go on then - just the one'...Who doesn’t love a cherry liqueur at Christmas? 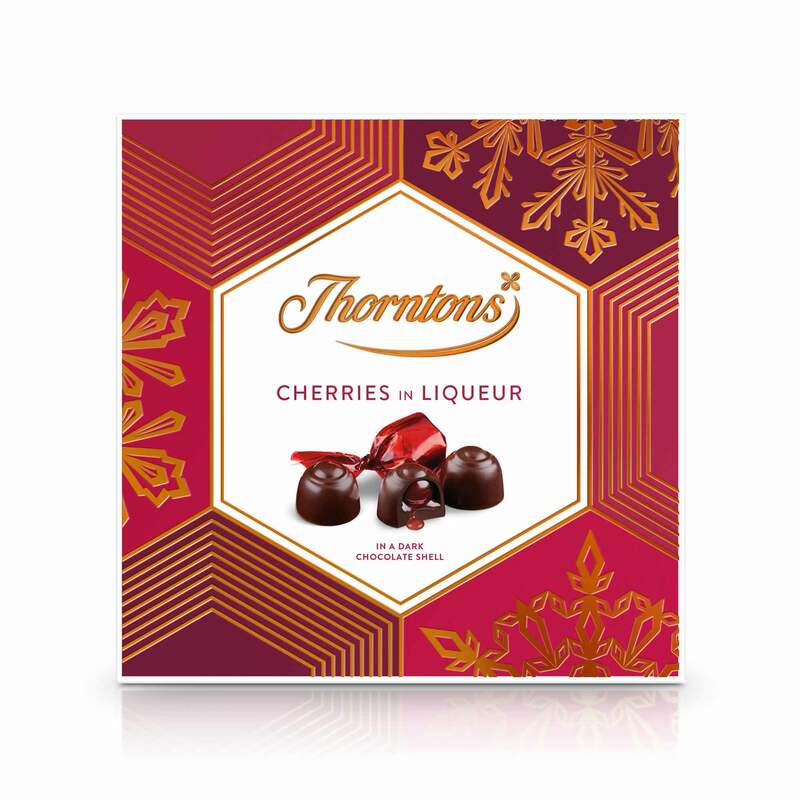 With a whole cherry hiding at the centre of each luxurious liqueur, these chocolates are intensely indulgent. 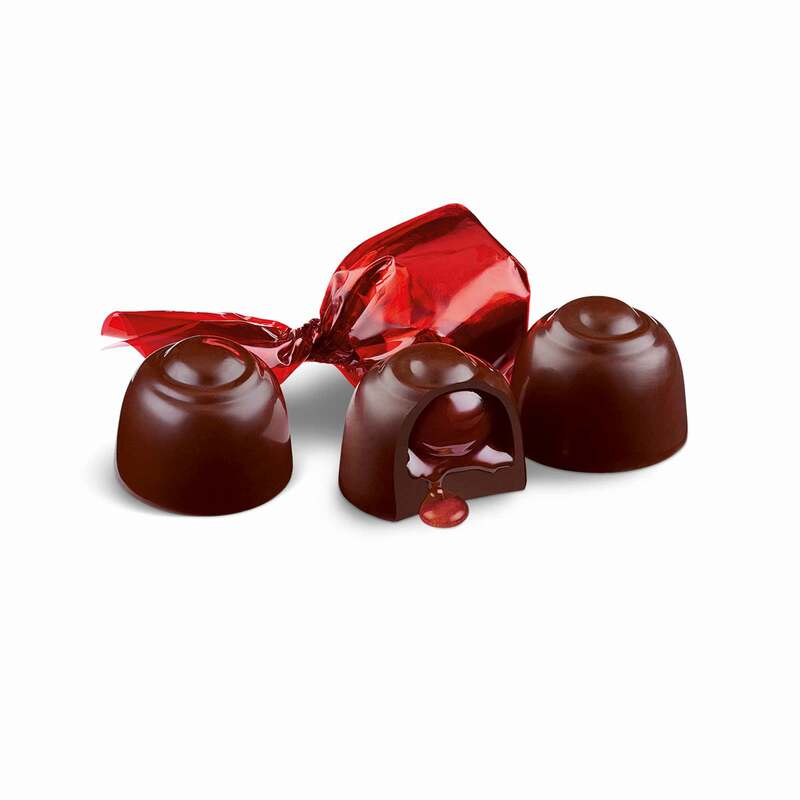 Bite through the shiny dark chocolate casing and you’ll find the soft fruit in a cherry liqueur. Each chocolate is wrapped in distinctly Christmassy shimmering ruby red paper, creating an extra-festive box of chocolates. One after dinner perhaps, or a few to nibble on while watching some festive TV - or as a gift for someone who you just know will be keen to share! Sugar, cocoa mass, cherries (18%), liqueur (13%), cocoa butter, MILK fat, emulsifier (SOYA lecithin), flavouring. This product is delicate and fragile. Harsh movement should be avoided as this may cause cracking and liqueur leakage.